Sky Digital: TG4 (Ireland) broadcasts in DVB-S VideoGuard on 11914.00MHz, pol.H SR:27500 FEC:5/6 SID:5539 PID:2320/2335 English. Sky Digital: TG4 (Ireland) broadcasts in DVB-S VideoGuard on 11836.00MHz, pol.H SR:27500 FEC:5/6 SID:6132 PID:2421/2422 English. Sky Digital: TG4 has left 12266.00MHz, pol.H (DVB-S SID:2803 PID:2430/2431 English), it is no longer transmitted by satellite in Europe. Sky Digital: TG4 (Ireland) broadcasts in DVB-S VideoGuard on 12266.00MHz, pol.H SR:27500 FEC:5/6 SID:2803 PID:2430/2431 English. Sky Digital: TG4 has left 10744.00MHz, pol.H (DVB-S SID:9603 PID:2312/2313 English), it is no longer transmitted by satellite in Europe. 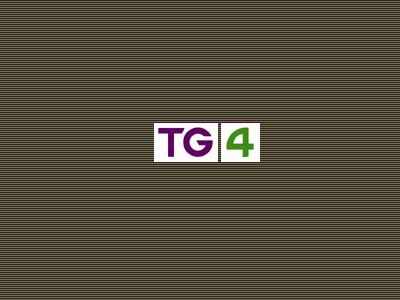 TG4 switched to Astra 1N satellite at 10744.00MHz, pol.H (DVB-S , 10744.00MHz, pol.H SR:22000 FEC:5/6 PID:2312/2313 English). Sky Digital: New PID for TG4: PID:2312/2313 English SID:9603 (10744.00MHz, pol.H SR:22000 FEC:5/6 - VideoGuard). Sky Digital: New PID for TG4: PID:2321/2322 English SID:9603 (10744.00MHz, pol.H SR:22000 FEC:5/6 - VideoGuard). Sky Digital: New PID for TG4: PID:2315/2316 English SID:9603 (10744.00MHz, pol.H SR:22000 FEC:5/6 - VideoGuard). Sky Digital: New PID for TG4: PID:2323/2324 English SID:9603 (10744.00MHz, pol.H SR:22000 FEC:5/6 - VideoGuard). Sky Digital: New PID for TG4: PID:2313/2314 Irish SID:9603 (10744.00MHz, pol.H SR:22000 FEC:5/6 - VideoGuard). Sky Digital: New PID for TG4: PID:2316/2317 SID:0 (10744.00MHz, pol.H SR:22000 FEC:5/6 - VideoGuard). Sky Digital: New PID for TG4: PID:2312/2313 SID:0 (10744.00MHz, pol.H SR:22000 FEC:5/6 - VideoGuard). Sky Digital: A new channel has started in DVB-S VideoGuard: TG4 (Ireland) on 10744.00MHz, pol.H SR:22000 FEC:5/6 SID:0 PID:2315/2316.